UnCanny Musings from Daryll B.! Scooby Apocalypse! Deadpool! Dusu! 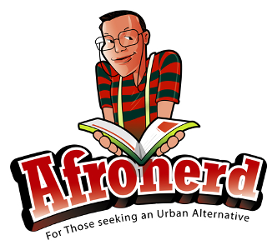 Afronerd Radio on Muhammad Ali - Afronerd: The Blerd Revolution Has Begun! To everything comes an ending and in Dusu #4 by Sebastian A. Jones, Christopher Garner & James C. Webster, Dusu and Waso have the ultimate falling out where families and whole tribes survival are on the line. The murky, moody art catches Dusu's frustration and anger perfectly as we whirlwind through his struggles. Father is using extreme measures to regain control of New Japan in 4001 AD #2 by Matt Kindt, & Clayton Crain and to heck with the civilian population. Rai and his rag-tag freedom fighters have their hands full trying stop him/her/it. Crain's art brings the cataclysm to new horrifying levels here. 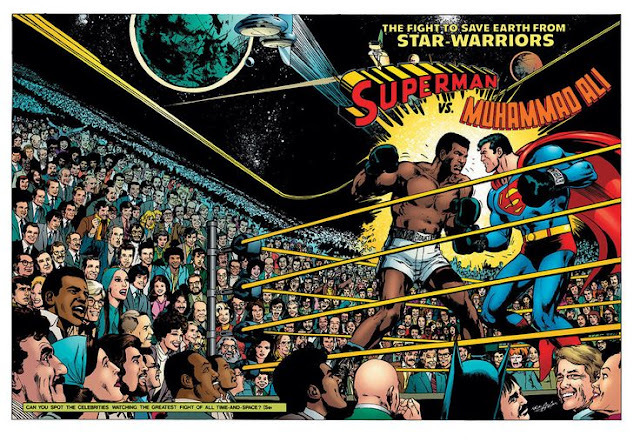 So this is the big issue that kicks off the reset for the Man of Steel? Thematically, Superman #52 by Peter Tomasi, Mikel Janin, Miguel Sepulveda & Jeromy Cox plays out like the polar opposite of how Infinite Crisis ended with the death of the Earth-2 Superman. This time it another one that pays the price and Tomasi deftly maneuvers the situations and characters to points where you actually think that the fight against a Faux Superman could be taken care of without a loss of life. I had a lot of problems with the New 52 Superman but how ironic is it that DC finally nailed him at the book's end? Think you got a hard training regiment? Niobe #3 by Amandla Stenberg, Sebastian A. Jones & Ashley A. Woods shows our heroine going through her paces as she still prepares to find a way to save her orc friend from certain death at the tribal court. And around the corner, the true menace behind everything is about to make his presence known to the tribes. Strap in Folks....#4 is going to be bananas!!! But the BEST crossover I picked up this week happened in ONE issue folks! Deadpool #13 by by Gerry Duggan, Jacopo Camagni & Veronica Gandinisees the Merc With A Mouth taking on a crooked accountant as a protection job. Said job floats into Daredevil #7.1 by Charles Soule, Guillmero Sanna & Mat Lopes as an old Daredevil Foe comes for the accountant which gets crazy to the point where Wade hires outside help in Power Man & Iron Fist #4.1 by David Walker, Elmo Bondoc & Nolan Woodward. And EVERYTHING hits the fan in a free for all in Daredevil #13.1 by Gerry Duggan, Paco Diaz & Israel Silva. Hilarious and absolutely crazy as the madness of Deadpool seemingly infects other heroes YET each book retains its own distinctive feel. On the trade paperback front, I had an ok week with DC's Chase by JH Williams III, Dan Curtis Johnson, and a host of others. Cameron Chase is an agent with the DEO, whose history consistently is tied to the metahuman cases she's investigating. I always felt that she could be DC's answer to Jessica Jones with her ties to the JSA and gritty outlook. News rumors are that she'll make a return to the CW Superhero Universe. Soothing the little kid inside me, Takio Vol #2 by Brian Michael and Olivia Bendis, Michael Avon Oeming & Nick Filardi has the newly powered Taki and Olivia trying to find a balance between doing superheroics, living regular lives and oh yeah, grammar/junior high school. All the while, the folks that gave them, and their "friend", powers, seek to replicate the process by any means necessary. Still a little off-putting that the team behind Powers is doing an all-ages book like this BUT it does work from a purity standpoint. To close out this listing, I retrieved Black Panther: Bad Mutha and The Bride, Volumes #3 & 4 of the Reginald Hudlin & Scot Eaton run. The storyline of T'Challa finding a wife runs through both books as in Bad Mutha, his path goes across Luke Cage, Shang-Chi, and Blade. Then in The Bride, he finds his Queen in Ororo Munroe, a.k.a. Storm as we go through the trials and tribulations on the path to marriage. I give the Hudlin run credit for the heartfelt/family moments that seemingly have been ostracized from today's comics. He weaves those seamlessly through political and social moments in a matter that kept me as a reader engaged.